Investing is an important part of building wealth. Saving money alone usually isn’t enough to save for retirement and other necessities: because of inflation, the money we save actually becomes less valuable over time. The solution is to seek out ways to earn interest, and the stock market is a great place to turn. 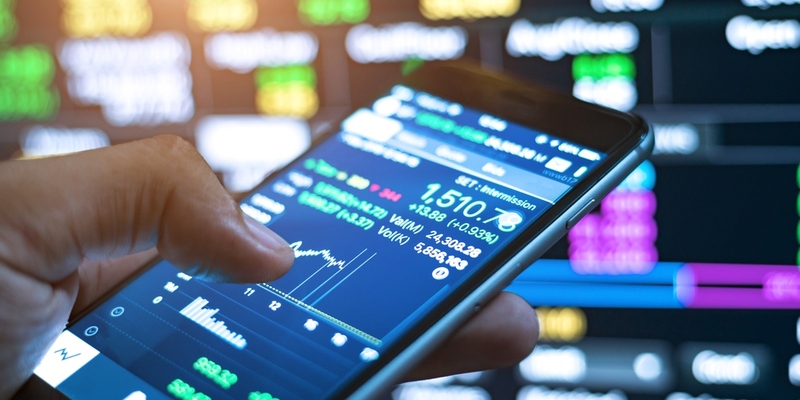 The basics of the stock market sound simple: you invest money by buying shares of stock, and then you hold those shares while the companies you have shares in grow and improve. Bigger, better companies are worth more, so the value of your shares go up, and then you can sell them and enjoy the profit. Great, right? But, of course, stocks can go down. There are risks to investing, and the potential for growth often reflects the risk: you may find yourself choosing between the slow growth of a big, safe company and the potentially rapid growth of a small start-up — but the latter could go belly-up just as easily as it could grow. The key to managing risk in the stock market is diversity: you don’t want all your eggs in one basket, because them one company’s misfortune could doom your whole portfolio. Spreading out the risk by investing in different companies is key. That’s one part of the appeal of index funds, which you mention: index funds track indices like the S&P 500, which in turn are collections of large numbers of companies. Mutual funds and exchange-traded funds that simply track those values have built-in diversity: you’re betting on a whole lot of companies, not just one. To say that you should just put all of your investment money in an index fund is probably an oversimplification. There are other options, too, like choosing a fund run by a brokerage that is designed to target your retirement year (the conventional wisdom says that younger investors should take risks and grow more conservative and safe as they build their wealth and close in on retirement, so some brokerages run funds that follow this track with the goal of wrapping things up in a given year). But it’s also possible to learn more about investment and — if you have the time and the talent for it — learn to manage your investments more directly and on a smaller scale. To do that, you’ll want to do some research — it’s not a good idea to dive head-first into making trades if you don’t really understand the details. You could end up losing money and exposing yourself to tax burdens that you don’t want. Instead, then, you should read up in books and check out online courses in investing. You can learn advanced techniques and investment theories. Take Fibonacci trading, for example: online stock-trading strategy guides can teach you how to use the Fibonacci sequence to make better trades. That’s just one strategy, of course–doing the research and getting the training will help you decide for yourself which strategy is best for you. How closely you manage your investments is up to you: it’s perfectly alright to rely on investment vehicles like ETFs and mutual funds or — better yet — hire a financial advisor to guide you through things. But if you want to learn a bit more about the market and make your own decisions (carefully and safely, we hope), then that’s okay, too! The important thing is that you remember that investing is a reliable and vital tool for building wealth.